In September 1914 Cheshire Yeomanry were posted to Norfolk on coastal defence duties. In October the regiment moved from camp at Kirby Cane Hall to a new camp at Langley Park, Loddon, not far from Norwich. Initially under canvas, in November huts were being erected, including stabling for 500 horses. For Christmas some of the men were to be allowed home for three days, while those remaining had been promised a ‘good old Cheshire Christmas in Norfolk’. 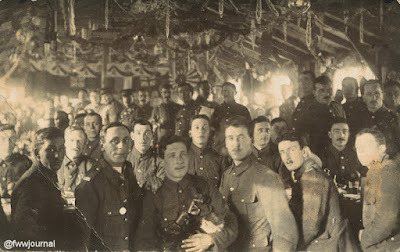 On December 23 the regiment received intelligence reports of a pending German raid. As a consequence, it stood to in full marching order on Christmas Eve, Christmas Day and Boxing Day from an hour before dawn until 9 a.m. Nothing happened. Despite this, and the disappointment of not being allowed leave to get home, they made the most of their Christmas. The sector of coast allotted to the regiment included Gorleston, the name given to the southern part of Great Yarmouth, and the coast immediately south of it. At 4 a.m. on Christmas morning B Squadron (Chester) were manning their coastal defence positions, until all was reported clear. 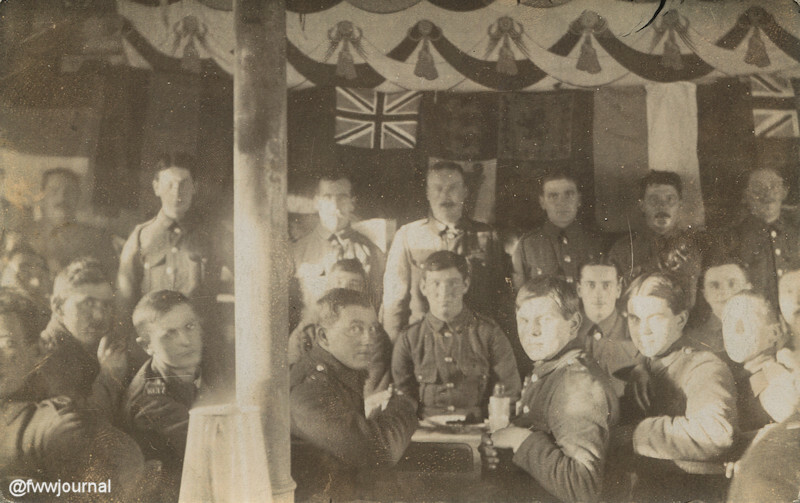 This did not prevent the men from enjoying a good old-fashioned dinner of turkeys and plum puddings, the squadron dining in one of the hotels overlooking the sea. The remainder of the men back at Langley Park, and as soon as they were informed that all was clear, set about making things as much like Christmas as possible. Two of the huts were decorated with bunting and holly. There being an abundance of holly and mistletoe in the woods adjoining, they transformed the huts into a veritable winter garden. Weather conditions were also ideal, with a hard frost the massive trees in the Park looked beautiful in their winter garb of hoar frost. “About 150 N.C.O.’s and men sat down to dinner in each hut, and we had a right jolly good dinner of turkey, plum pudding, and as much beer and minerals as we could consume. In addition each man was presented with a present from Colonel H. M. Wilson of 100 cigarettes, also a pair of woollen mittens. The mittens were presented to each man just before the regiment marched off for divine service. 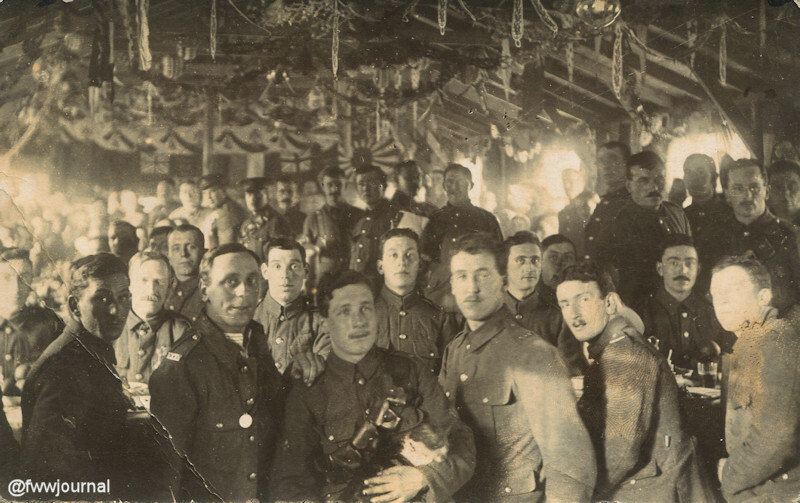 The accompanying postcards were sent by Private James Henshall (Regimental Number: 836) to his mother, Rosa. Both James and his older brother, Herbert, had enlisted with Cheshire Yeomanry in January 1913. The Henshall family comprising Henry Henshall and Rosa (nee Wood) and their nine children were living in Wilmslow, Cheshire, in 1911.